When watching a streaming video on network media player, there is nothing more annoying than constant stopping and starting and/or showing a screen that reads "loading". To prevent the video from stopping to load, your networked component "buffers" the video. 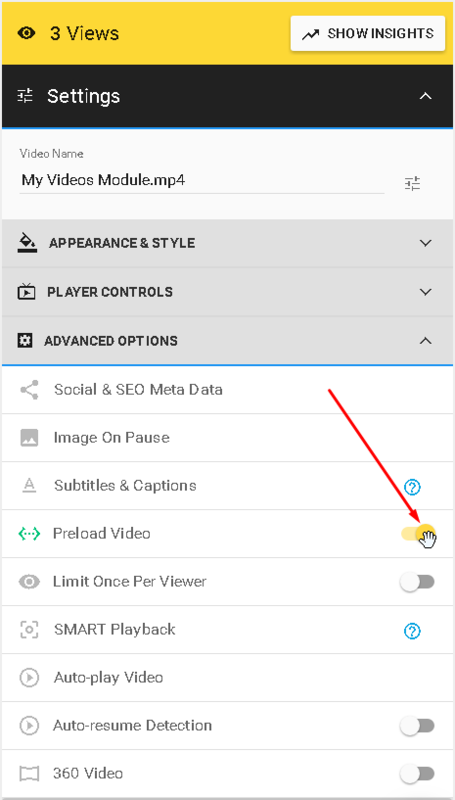 That is, it downloads the video ahead of what you are watching so you don't have to wait for more of the video to be received by your player. This feature is activated by default, you can find it under the ADVANCED OPTIONS. This setting will allow your video to always pre-buffer before starting. This can be useful in many situations, however, you should mostly avoid buffering during the video if most of your viewers have low internet speed.